In truth, it is both of those things. Every course I run I face my self-shame, my self-doubt, my fears and my lack of worth face on. EVERY course I run (be it hours long or months long) I spend the lead-up days to it telling myself that no one will come. That I should cancel. That I have nothing to give, or no one will hear it anyway. Every time… I stand in the room before people arrive and think of a million ways to run. Then people walk in. … and I see it. I see it in them. The same fear. Each one of them has battled with their own inner saboteur convincing them that this is not the time, that they can’t do it, that it’s not right for them, they can’t afford it or that it simply isn’t right at the moment. Each of them… heard it… saw it… and decided to live in courage and show up despite it. They each walk in the room both fearful and triumphant. On one hand they have stood up to the saboteur and stepped up to meet themselves despite fear (true bravery can not exist without feeling fear right?) on the other hand… now they actually have to do the work, to keep showing up… and have to hope that their instinct was right… that their hearts whispers were true and that the voice they chose to rise above, the saboteur, was in fact lying. Some people, like me, don’t even know they are going to show up for themselves until the moment they do. They walk to the venue saying “I don’t have to go in, I’ll just check it out, see who’s there… possibly just do the first class”. If they walk in, they always stay. So yes. For me, as the facilitator, I face this too, this constant staring into the mirror of my own self-worth story. This constant need to step up to it and believe in myself and my work. On the other hand. The moment I start “teaching” this falls away. Possibly it flushes through in small moments but the truth is, I trust this process. It has made me who I am. I trust it because I live in it every day. So yes. There has been a level of desensitisation I have begun to slip into at times. The choice to NOT do the homework I set others, to not show up to my own self-critic, to play the role of facilitator and not participant because it’s safer for me. In truth, for the past few years, I didn’t even really acknowledge to myself that that was what I was doing. As time went on, I became less vulnerable, not in class, not in the day to day, not out in the world… but at home. With my lover. In the moments which matter. I told myself I was living my work because I was doing it in class and doing it in the world but when it came down to it, at home, I was hiding. Hiding behind sarcasm, scepticism, criticism. Hiding behind defensive behaviours and screens. When I decided to run a Verse 2 (the second level of Speak Up) the universe decided to put me in a position which meant I had no other option other than to show up. “Show up or shrivel away further into what you despise”, it said to me. 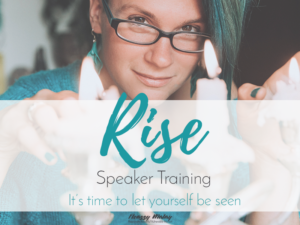 I had only 6 people signed up to the course (the smallest class I had run for over 3 years) and I had no idea what we were going to be doing IN the classes… I was afraid, I had no direction to take these people on. These people had paid me. They trusted me with their money, with their art, their hearts and with their mentality. I felt like I had nothing to give. I was looking for reasons to cancel…and I had them. I had a lot of them. Merely days before the first class my intimate life hit extreme lows. A massive thing happened between myself and my partner which basically meant I could step up to what petrified me the most…yet what I knew was true… being vulnerable for someone who had hurt me deeply, to someone who I had been hurting for a long time… To face the self-shame of my own actions and face the raw and painful risk of living in vulnerability when trust was broken… or I could walk away. I could walk away, leave it all and pretend it was all in the past. Carry that shame and the fear of trusting forever, cover it over with new relationships, different classes. I realised that yes I had been “doing” Speak Up for 3 years but actually for the last part of that I had not been “being” Speak Up. I had been hiding. 6 weeks went by… 6 weeks of feeling like I had nothing to give every Wednesday, showing up and doing what was is in my bones and blood and seeing the effect not only on myself but on others. 6 weeks of re-building a relationship, a friendship and a family. The course finished. The relationship didn’t. Last night I showed up to week 1 of the next Speak Up course… and I Showed Up. Because how could I not? So yes… I do this work… every day… except when I don’t….and when I don’t it kills me, slowly and painfully. It also kills the life in what is around me, the stars do not shine, the ink does not flow and the rain does not wash it only makes me sodden. So I am doing this work, in every breath I take, and just like everyone else who goes through Speak Up, there are moments I don’t…those moments possibly last for days…weeks…months…years… but the truth is once you know this work you will never be able to be happy hiding from it. My heart has been given a voice, one that I can not fail to hear. NTSB is confirming they think the wreckage of Steve Fossett has been found.They are currently looking for his remains and then will investigate the wreckage to determine how it happened.Looks like the plane went head-in to a rock face, traveled upward on the rock face and disintegrated. Engine was found 300 feet from fuselage.At least the family can put this to rest. RIP Steve Fossett. Not sure if you analysis is correct. I looked at ADBE, SAP and DOX and all 3 have similar AR/Sales and Def Revs/Sales ratios. Not sure where you got this rule of thumb?